Hospitals and hospitals interested in information about a fingerprint charm program, please look here. 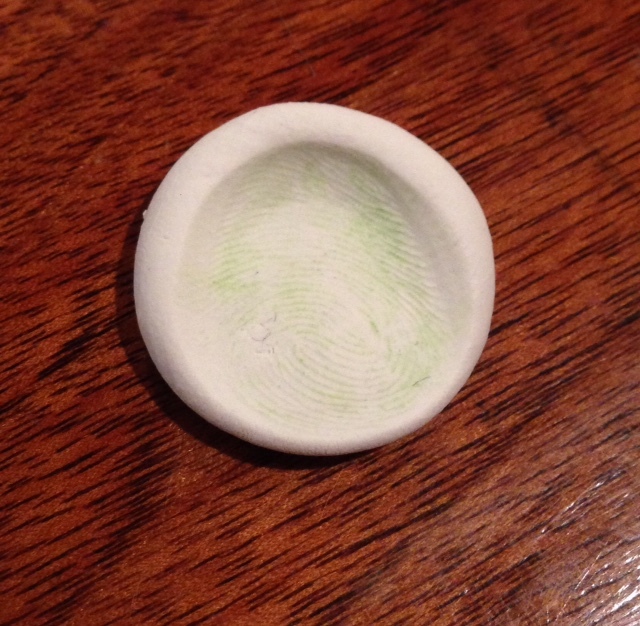 Memorial charm imprints can be made at any time (while your loved one is living or post-mortem). I encourage you to make the imprint as far in advance as possible, when your loved one can participate in the process. I cannot currently make charms from an ink stamp. 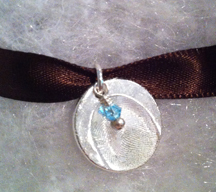 Just like my other charms, memorial charms can go on a piece of my jewelry or a piece you already own. If you need an impression kit package overnighted to you, I would need to know prior to 2:30 pm, EST so I can get to the post office on time. You can see complete charm prices here.